Are you ready for some Halloween fun this year? I get tired of the same old boring Halloween games, so I decided to create a fun game for my readers. 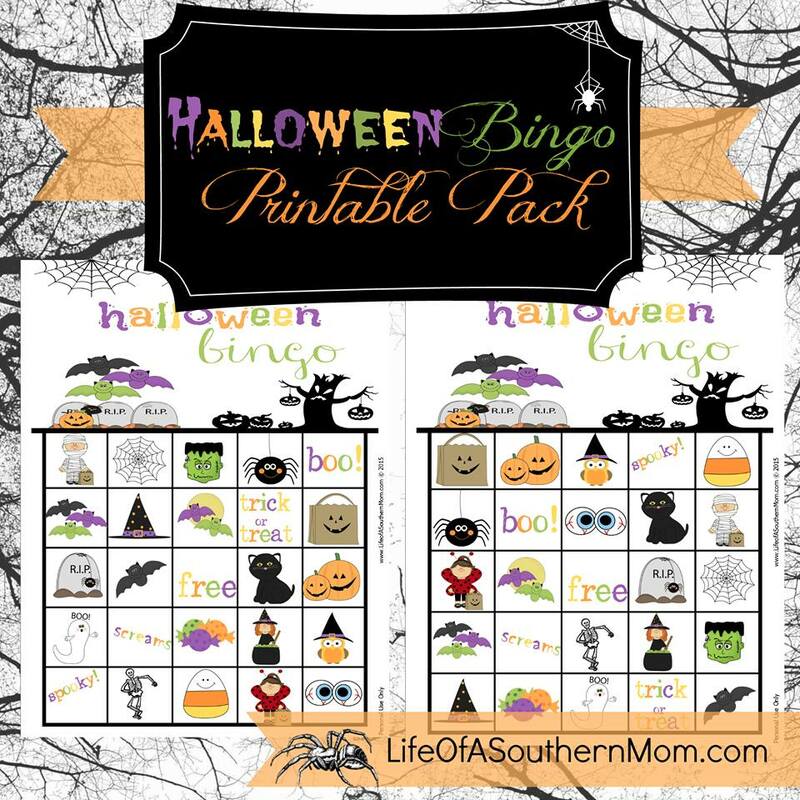 Halloween Bingo is super easy and fun for the whole family to play. I think I love this game the most because my entire family can join in, adults and kids alike. You can print out this Halloween Bingo Printable HERE and enjoy it just as much as we have. Halloween is one of our favorite holidays, so we spend hours doing activities and playing games. Let me know if you print this out and how much you enjoy it. Halloween is just a few short weeks away, so you better start enjoying all of the spooky festivities soon! Please feel free to use for personal use by printing. If you would like to share this on social media or any other platforms please link back to Life of a Southern Mom. Thank you for sharing this. I found this from someone on Twitter. I'm actually thinking of doing this for my mom who has dementia. I think she would love it! I pinned this on Pinterest! Thank you!